At 1871, each WiSTEM cohort concludes with founders pitching their business on stage to a crowd of hundreds at 1871. Mary Novokhovsky is no stranger to that stage. The Founder of Respirare, Novokhovsky is fresh off her win at Campus 1871, the annual college startup competition that challenges students to create, ideate and execute a full-fledged business plan each year. Her enthusiastic pitch of Respirare -- a wearable that helps empower asthmatics to lead healthier lives by tracking the dosage, the usage and the effectiveness of their inhalers -- won the Illinois Institute of Technology student and her team first place win at the competition, earning them an associate membership to 1871 to continue building upon their idea. But Novokhovsky didn’t stop there. She was one of 13 entrepreneurs selected for the summer cohort of WiSTEM. While Respirare is still in its infancy, she hopes participation in the program will advance the idea she hopes will revolutionize care and treatment for asthmatics like herself. For years Novokhovsky grappled with how to better manage the symptoms and triggers caused by rapid environmental changes, which was the inspiration for Respirare. 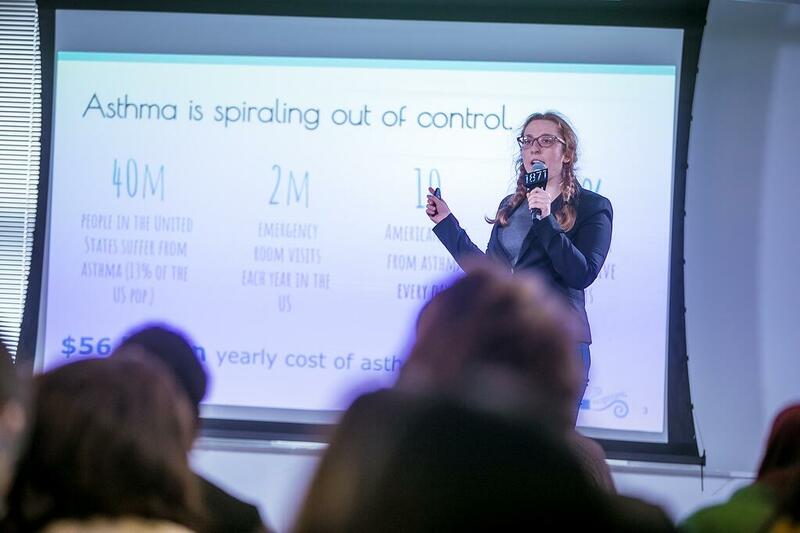 “Respirare is a medical health system on its own, one that empowers asthmatics to track their usage and live healthier lives,” she said. The vision of Respirare is for users to sign up for the application and build a profile. The hardware and software solution she is building will track as many variables as possible with inhaler usage, in order to provide consistent and accurate reports of what’s going on with a user’s respiratory health. The Campus 1871 connection also brought another familiar face to the 1871 community. Fellow team member Amy Kamin has been working closely with Novokhovsky to build Respirare, while simultaneously side-hustlingfor 1871 in the programming department. Before her experiences at Campus 1871 and 1871 university partner IIT, Novokhovsky was wayward in trying to figure out what to do with her life and career, dropping out of college after her disinterest in journalism and moving to Los Angeles for a change of scene. 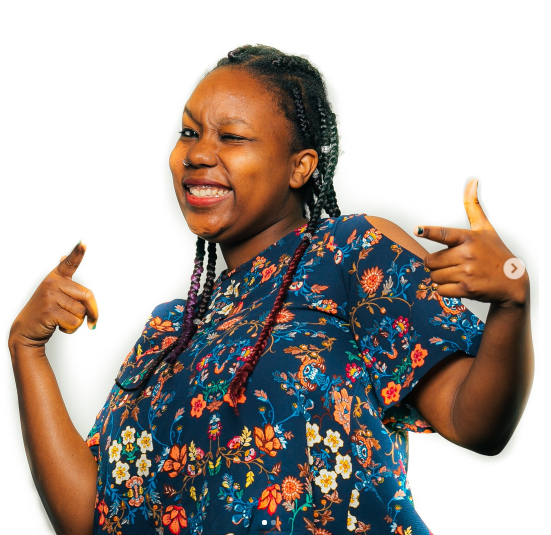 For a while, she was interested in becoming a stand up comedian, while on the side she was working with other companies doing entry-level sales and marketing, picking up tech along the way. Drawing inspiration from her mother, who was a computer programmer, she moved back home and enrolled at IIT. Novokhovsky said she takes great pride in seeing her idea validated, and she is working hard to motivate and incentivize her team. “It’s a rare dynamic to get a team that so well aligns with the mission and comes together as one at the end of the day,” she said. While her platform aims to help the general population breathe a little easier, she’s barely taken time to stop for a break herself. She is planning on a full launch of the Respirare website in the coming weeks, is expecting her first child and is preparing for the WiSTEM Showcase in October.